Hello loves! 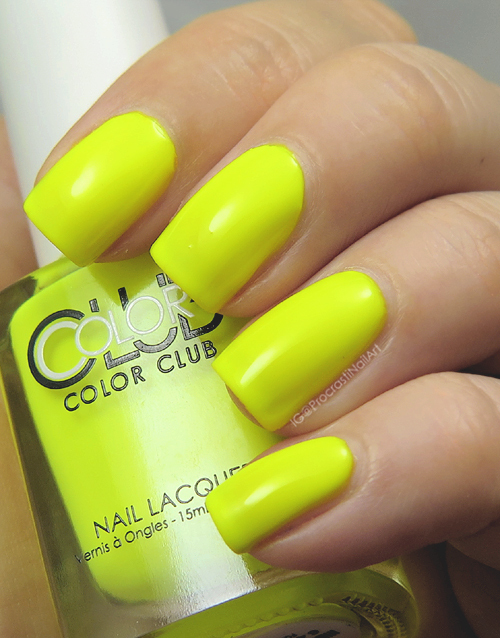 Today I have some Color Club Poptastic neon shades to share with you! 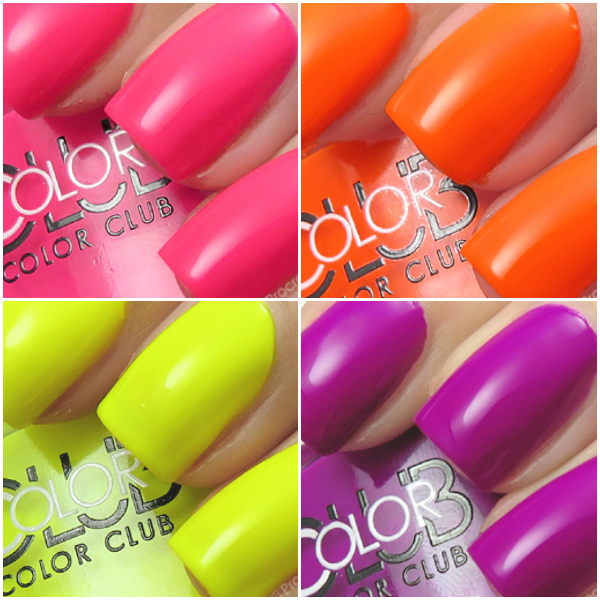 Did you know that if you're in Canada you can get Color Club at Trade Secrets these days? Well now you do! 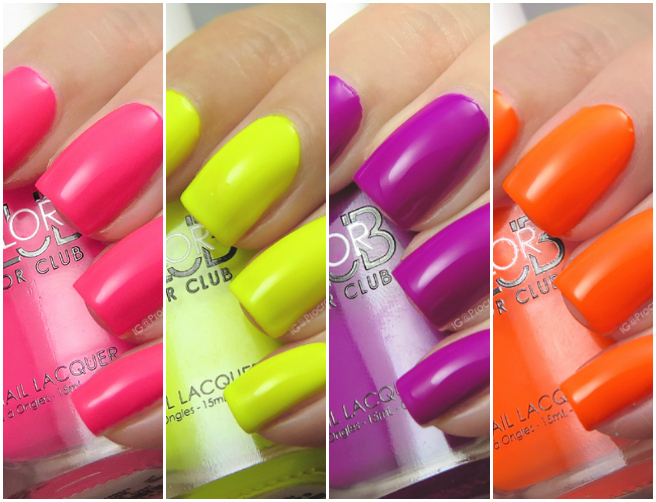 They're carrying a variety of shades, and these four gorgeous neons are just a few of them. And you know how I love my neons. 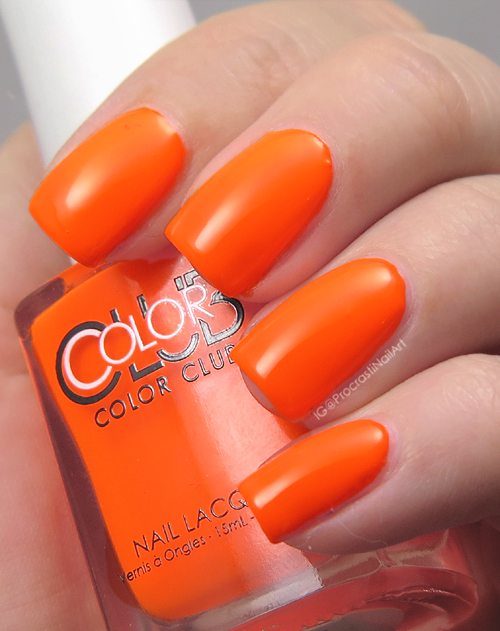 :) Check below for more info and full swatches! First up is Jackie Oh! 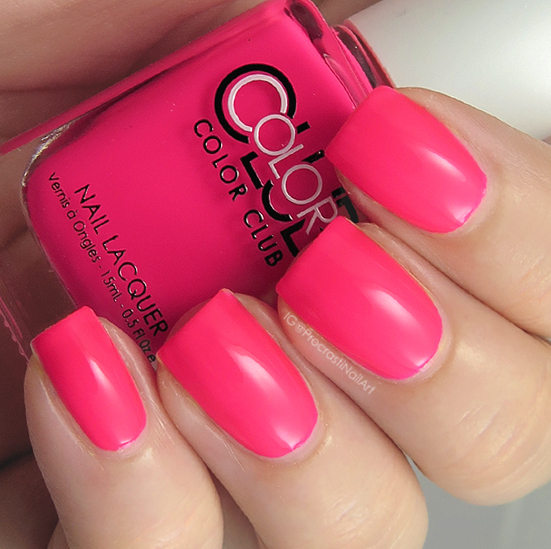 which is a Poptastic Neon shade from the 2010 Collection that has since been released as a Core Colour. 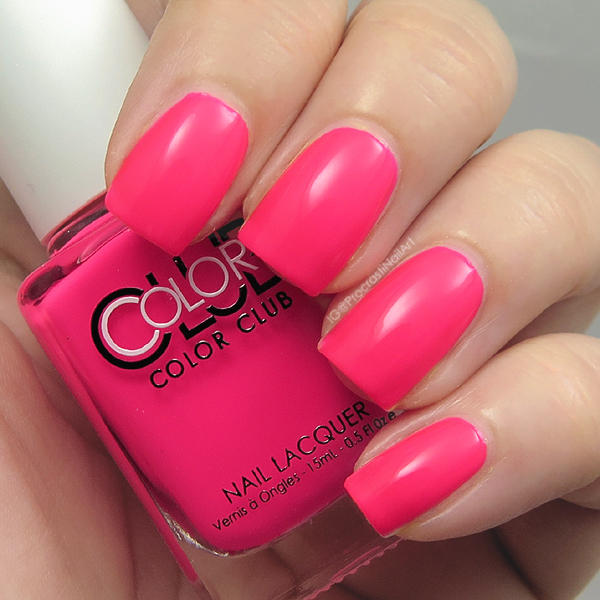 It's a gorgeous highlighter pink neon and it took three coats (no undies!) to build up to full opacity. It dried matte since it's neon, so for these swatches I've also added a layer of glossy top coat. 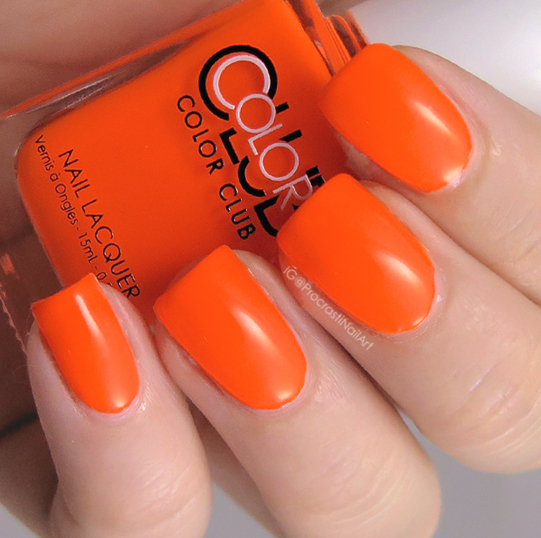 Koo-Koo-Cachoo is next up and it's a blindingly bright orange neon creme. It leans slightly cooler in real life than shown in these pics. Like the other three shades I was pleased to find I didn't need to use white undies to get the colour to pop, and I used three coats plus top coat. From what I can find online this was also originally released in 2010, but has since made it to the Core Colours line. 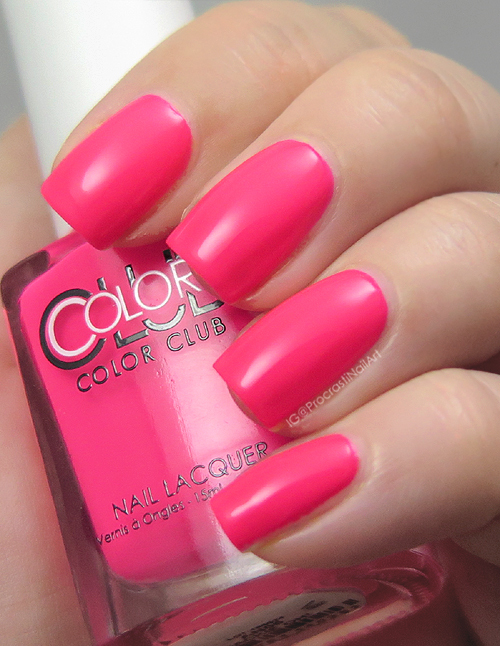 This is my favourite from the four I think, because it's neon without being blinding. You could get a lot more regular wear out of it than you could the other three, though they are all gorgeous. 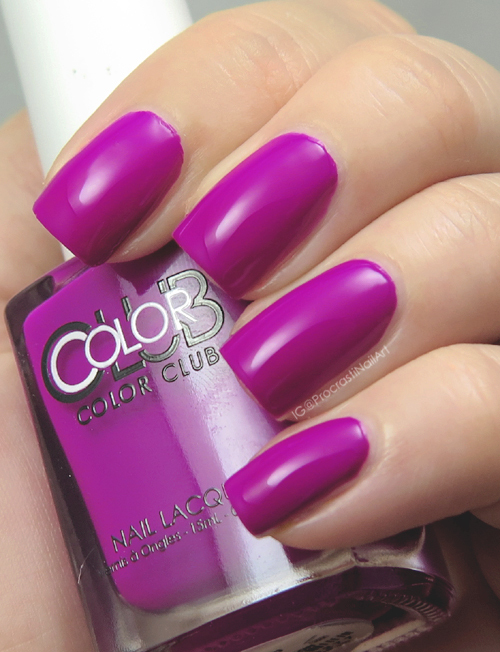 :) This is three coats of Mrs. Robinson with a layer of top coat and again this is a shade originally released in 2010 which is now part of the Core Colours line-up. It's a lovely vibrant neon violet. 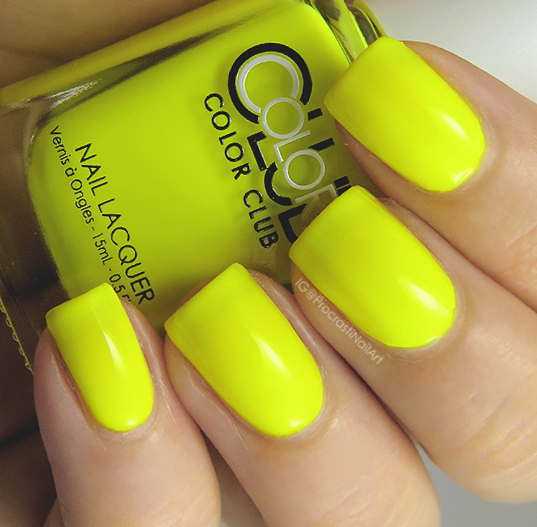 And last up is the neon yellow of the set! 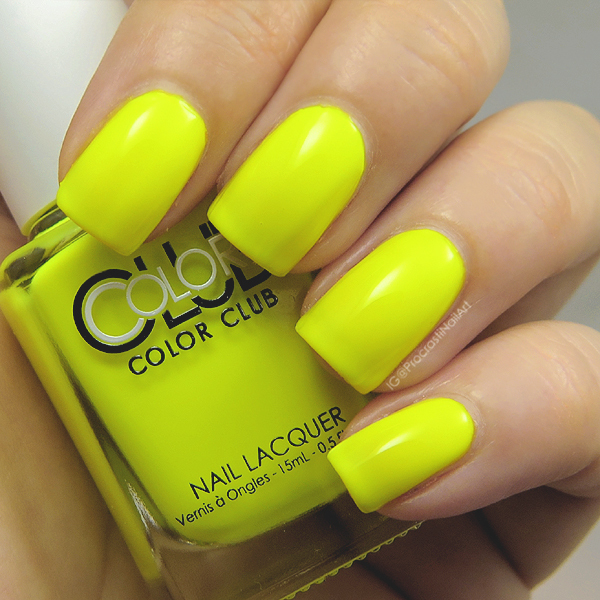 Yellin' Yellow lives up to it's name because it just screams off the nail with how bright it is! With three coats plus top coat there is a wee bit of visible nail line, but not enough to really matter in my opinion. Overall I'm really impressed with the colour and formula of all four of these. They applied with zero issues and I really love that they are opaque even without undies! If you're in Canada and want to pick any of these up you can find them at Trade Secrets (check here to find the nearest location), and you can also shop for them online. Hooray for more brands being carried in Canada! Which is your fav from these four shades? 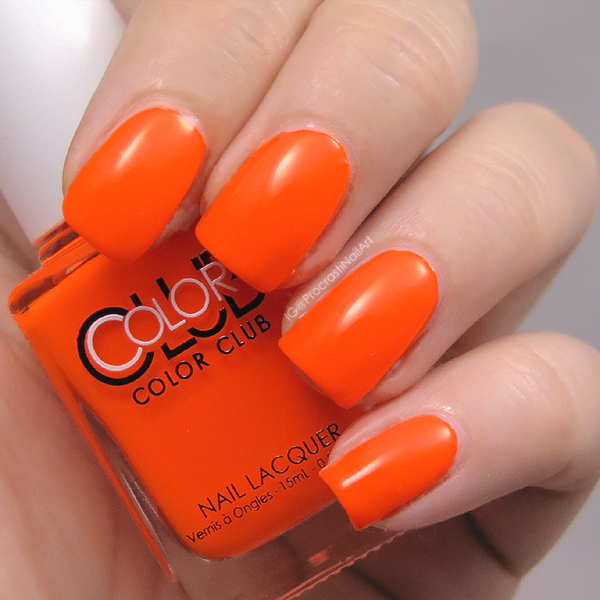 Will you be rocking neons into fall, or is it almost time to (sadly) put them away? Let me know! Some fun vibrant colors these are! Awesome that they layer up so bright with no undies! Love these! 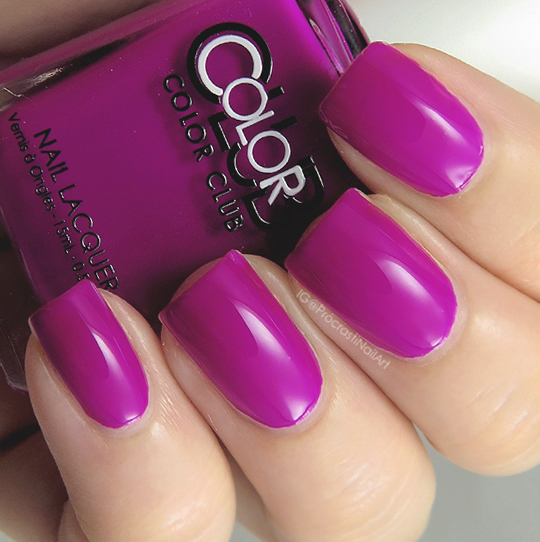 Especially that violet! I love neons and this collection has been in my wishlist for ages! I've actually purchased it, or so I thought, until I realized I picked the wrong set and I got the Pop Wash instead. Jackie Oh! and Mrs. Robinson are perfect! I love that are opaque without an undie! You captured the neon so perfectly - that is hard to do! I bet these would marble like a boss. Ooooo goodness! These are gorgeous!